L'Chaim - In Hebrew, "Life" - This is my life! 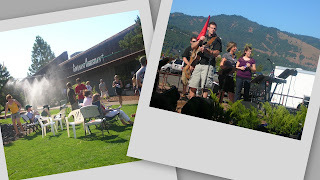 : 4th of July - Hood River Covenant Chrsitian Community BBQ - free food and live music!!! 4th of July - Hood River Covenant Chrsitian Community BBQ - free food and live music!! !